Introduction to thermal imaging and measurement systems for predictive inspection and maintenance applications. No experience in thermography is necessary! Avoid costly mistakes – learn to distinguish between hot spots and reflections, direct vs. indirect readings, moisture vs. air infiltration/exfiltration, and many more. 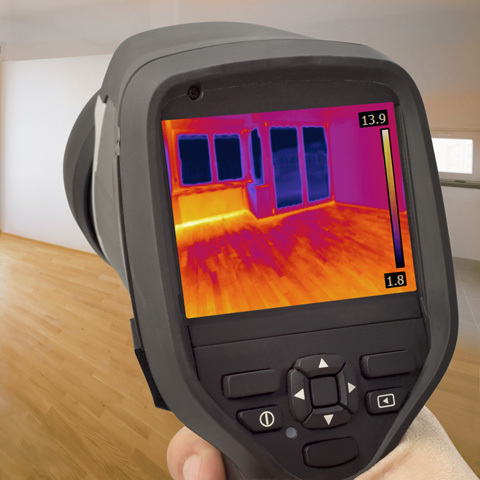 Challenge yourself and learn during hands on IR Camera Applications Labs that simulate real-world home & building inspection infrared applications. The learning objectives, contact hours, and written exam of Monroe Infrared’s CRT Thermography Certification course are based on the requirements utilized to satisfy the Standards of Practice for ASHI, InterNACHI, TAREI, CREIA, FABI and Home Inspector Professionals throughout the United States. As such, this course is suitable for use by your employer to recognize you and market both your knowledge and the company’s inspection services as complying with the written standards of practice and knowledge requirements for a Certified Residential Thermographer. This class is not an ASNT NDT Level I Thermography course. Time to Renew Your Certification? The CRT certification is in effect for 3 years from the date you complete the course and pass the final exam.